There are over 1400 species of the woody stemmed perennial grass known as bamboo worldwide but it is the genus Phyllostachys that is of the most concern to Connecticut homeowners. The State of Connecticut has in place Public Act NO. 13-82 and its supplement, from June, 2014, Public Act no. 14-100, that regulate the planting and sale of Running Bamboo (Phyllostachys). Any homeowner that is considering the establishment of running bamboo should read these acts carefully. Running bamboo spreads by long, running, underground rhizomes. When established without appropriate barriers or buffers these species have the potential to encroach onto neighboring properties where they may become difficult to remove. 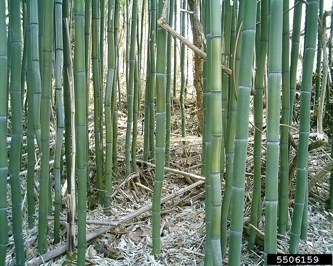 Bamboo is not considered an invasive plant in Connecticut. The bamboo plant consists of two parts: the aboveground jointed stem called a culm and the underground rhizomes that bear true root. Phyllostachys species are commonly referred to as 'running bamboo' because plants can spread as culms that grow at the nodes at long, indeterminate rhizomes. 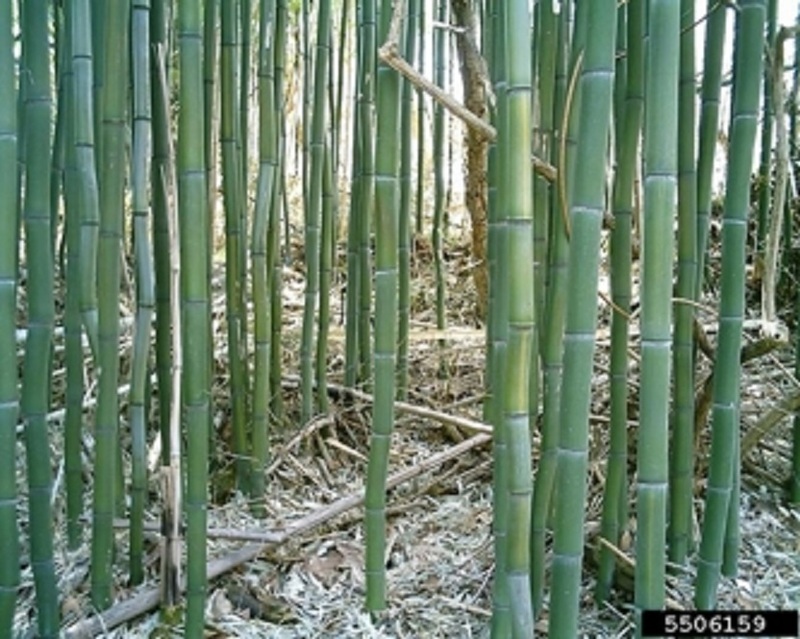 By contrast, clumping bamboos produce culms at the tip of the rhizome. The underground rhizomes of running bamboo can spread more than 100' from the mother plant and are averse to environmental conditions and herbicides. Bamboo removal requires an intensive control program as it can quickly re-establish itself if even a small amount is left untouched. Rhizomes of bamboo grow fairly shallowly, usually to a depth of less than one foot. Remove as much of the rhizomes and root mass of the plant as possible. Small areas may be done by hand but larger infestations may require power tools. Barriers of concrete, metal, plastic. or pressure treated wood should be installed at least 18" deep to be effective and should be checked occasionally for escaped rhizomes. Regular mowing can deplete the bamboo rhizomes and offer some control. 2-3 years of consistent mowing may be needed to see results. As a last resort, a non-selective herbicide may be necessary. 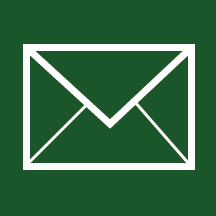 Please contact the Home & Garden Education Center, 877-486-6271, for recommendations. Revised by UConn Home and Garden Education Center 2019.